We invite you to enjoy your home away from home. We ask that as you join us here in Manti, that you help us maintain the peaceful atmosphere, and safe environment that we all desire. 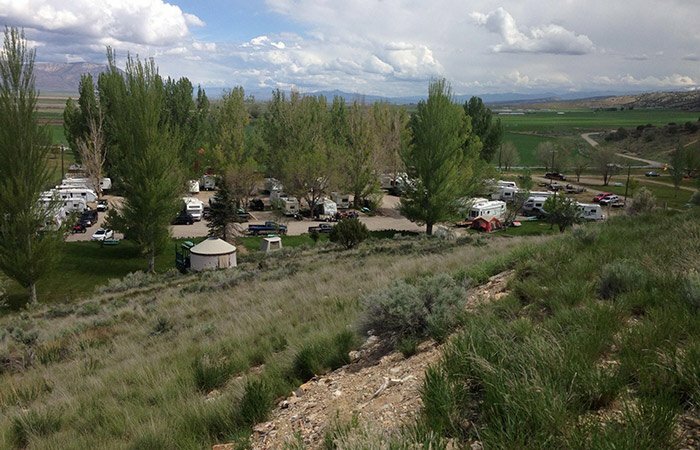 The following is a general list of the posted RV Park and Campground Rules. All day visitors, as well as camper guests not staying overnight, are required to pay a $5.00 per person day use fee. Be advised there are no refunds due to pool closure. Please remind your guest to stop at the Office. No vehicles, mats, or coverings are allowed on the grass. We do not allow tents in the RV sites. We do not allow hammocks unless they have their own base. They can not be attached to our trees or anything of ours. Please park ATV’s, Motorcycles, or any other vehicles on the gravel or dirt. Owners are completely responsible for their pets. Pets must be kept on a leash at all times. If a pet is disturbing other guests, the owner may be asked to kennel the pet (if necessary off the property.) No refund will be given if a pet owner is asked to leave due to the pet nuisance. Please use the provided pet area or the south hill above the campground for your pet walk area. Animal excretions must be picked up immediately and placed in the trash receptacles within a plastic bag. Pet owners will be charged an additional fee if their camp site is not cleaned from pet defecation. No vicious animals allowed. NO PETS ALLOWED IN THE CABIN. Fires are only allowed in our approved fire pits. Tents and all flammable items must be kept at least six (6) feet away from the fire pit. No discharging of any fire arm, paintball gun, pellet gun, bb gun, sling shot or air soft gun on premise. Must be attended at all times by an adult according to state law. In the pool area, all children 14 and under must be accompanied by an adult. NO LIFEGUARD ON DUTY. Parents are responsible for all damages caused by their children. 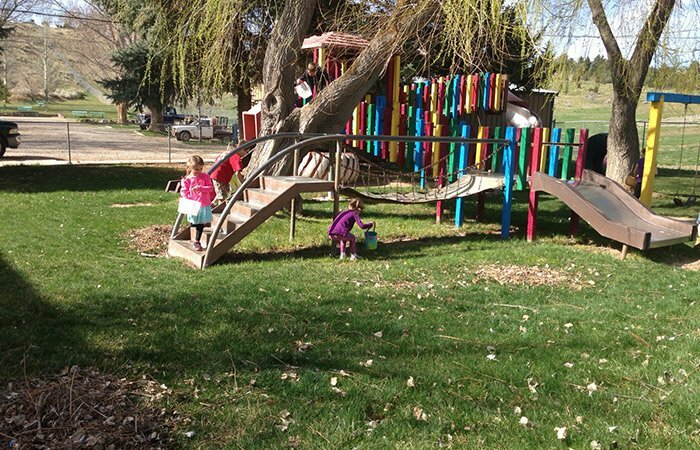 No one over 12 is allowed on playground equipment. Pets are not allowed in the playground. In the pool area, all children under 14 must be accompanied by an adult. No lifeguard on duty. Parents are responsible for all damages caused by their children. No food, drinks, or alcohol allowed in pool area. No pets allowed in pool area. No street clothes are allowed in the pool. Swimming suits only. In accordance with the Utah Clean Air Act, there is absolutely no smoking within any building. Please do not put anything down your toilets or ours other than toilet paper. Please do not flush sanitary products down any toilet. It clogs our drains and backs up the septic tanks. 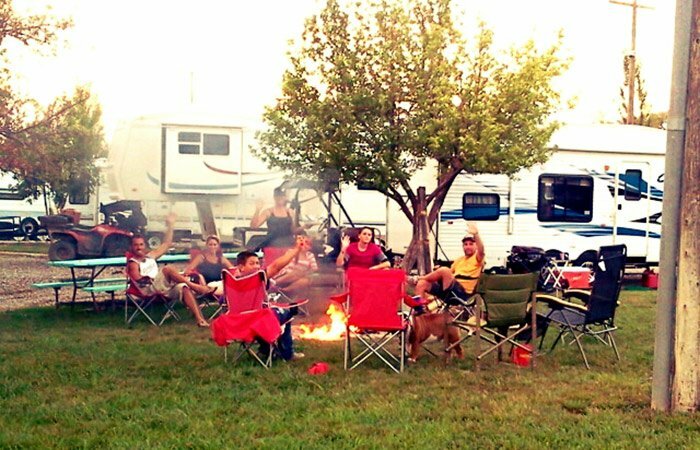 The RV Park and Campground Management will not be held responsible for loss, damages or claims for damages to property or guest due to fire, theft, accident, or any other cause. The Management also reserves the right to refuse service to anyone, or remove anyone from the park, without a refund, for perceived violations or disturbances. PLEASE REVIEW YOUR SCHEDULED ARRIVAL AND DEPARTURE DATES TO ENSURE YOUR RESERVATION IS CORRECT. In order to expedite your check-in, please bring this email confirmation with you. A 50% deposit is due at the time of reservation to hold your sites. Unless you have already made a deposit via telephone, we will send an invoice along with your confirmation to your email for you to pay. Or, you can mail in a check (Please include a copy of your email confirmation). The balance is due 10 days prior to your check in date. We will send you an invoice to your email letting you know when that comes due. Any reservations that do not have balances paid by then will be cancelled and no refund will be given. If you are requesting a reservation for a same day arrival, please call the office directly at 435-835-2267. Any applicable discounts must be applied during the time of the initial reservation. No discounts are provided during the check-in process. Discounts are not available during the month of June or for Holiday Weekends. There will be charged a 20% processing fee if a cancellation occurs 31 days or more before the date of the reservation (minimum of $10.00). A 35% per site processing fee for any site cancellations made 30 days or less of the reservation date (minimum of $10.00). If you cancel 10 days or less from your arrival date, your full amount paid will be forfeited. (Four or More Sites) A group leader should be appointed as the point of contact to coordinate all reservations. The group leader will organize individual reservations, advance deposits, and ensure appropriate information is forwarded to THR, preferably via email. If the group shortens its stay 30 days or less from its scheduled arrival date, you will forfeit your deposit on those sites. Because of the amount of people we have requesting reservations for Pageant we have had to extend the 50% cancellation period to be 60 days from the scheduled arrival. PLEASE MAKE ALL CANCELLATION REQUESTS VIA EMAIL . After reviewing your email request for cancellation, you will receive an email confirmation notifying you of your cancellation and any monies to be refunded or charged. If you do not receive an email within 24 hours, please call the Temple Hill Resort immediately. Phone cancellations are NOT confirmed until you receive an email confirmation from us. No shows are charged the full fees for the reservation made. Therefore the entire amount paid will be forfeited. There are no refunds for early departures, regardless of reason, unless you are staying long-term and provide a 10-day cancellation notice. 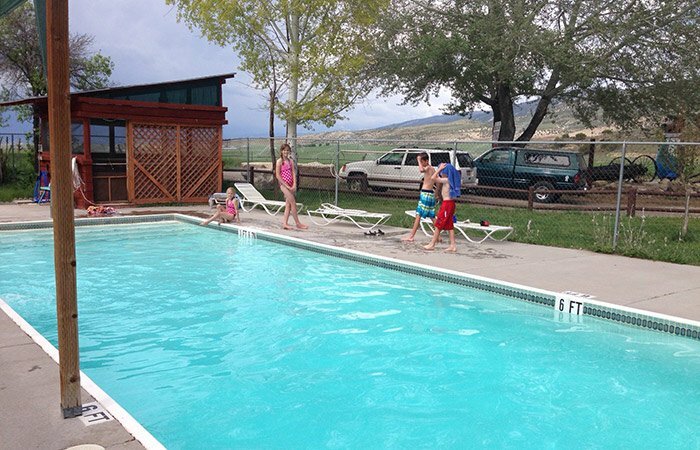 All day visitors, as well as camper guests not staying overnight, are required to pay a $5.00 per person day use fee. (Group Reservations may receive a day use fee discount.) Be advised there are no refunds due to pool closure. Please remind your guests to stop at the Office. Do not use the Exit for an entrance. Enter through the entrances and stop at the office for tag verification. We do check for tags periodically throughout the day and evening. Please declare your pets upon arrival, as there is a $25.00 charge per pet, which will be billed to your credit card, for any undeclared pets. Pets are charged at $3.00 per pet per day. There is also a $10 charge for any pet excrement left on your site or excrement that is not picked up. Pet bags are available in the office. Help us keep the park clean and rates low by cleaning up after your pet. 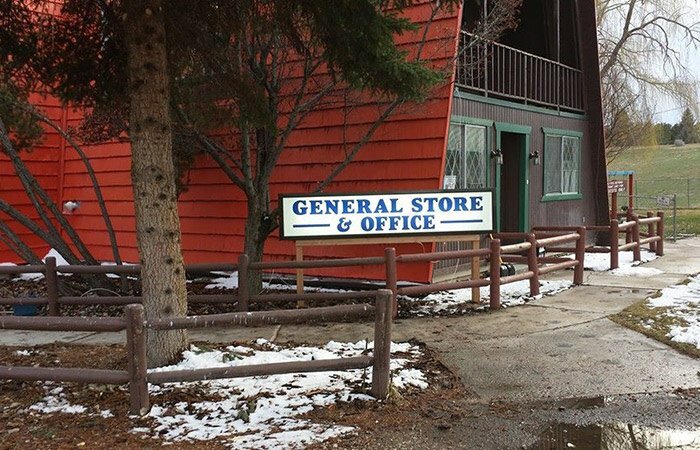 No vehicle will be allowed in the Park without a Window Pass. One vehicle per site (towed vehicle behind a motor-home counts as one vehicle). ALL additional vehicles with site reservations require a Window Pass for a $3 fee during regular season and $7 fee during pageant. Check in time is no earlier than 2:00 p.m. and check out time is no later than 12:00 Noon. Please get prior written permission, either at arrival or prior to departure, if an early check-in or late check-out is needed. Such check-ins or check-outs are based on site availability. There is a $3.00 fee per hour, or any part thereof, for early or late stays. Your check-in at the THR indicates acceptance of these new policies and procedures. All policies are subject to change.